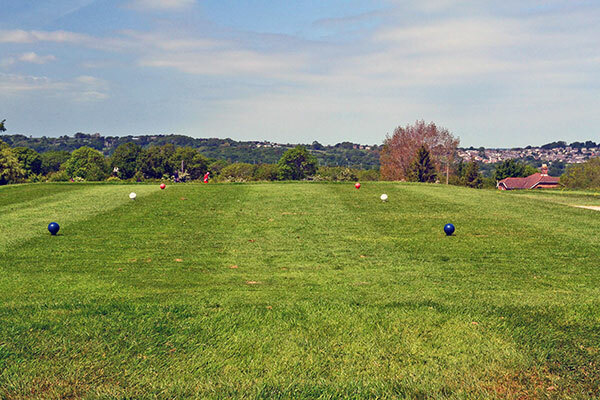 At Westridge Golf Centre we have the Island’s only pay-as-you-play golf course, with no booking of tee times required. 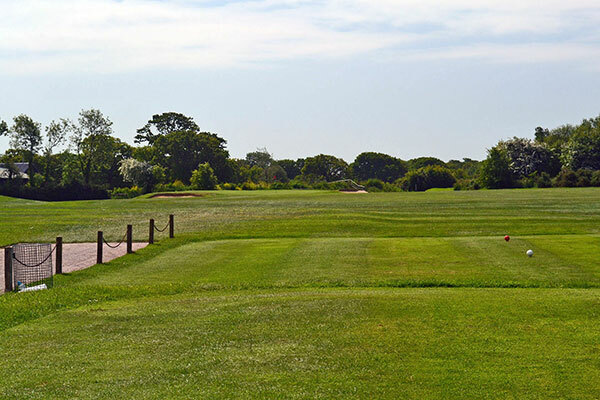 We currently have a challenging 9 hole Par 31 golf course measuring 2012 yards currently under expansion to become an 18 hole Par 64 course measuring 4480 yards. 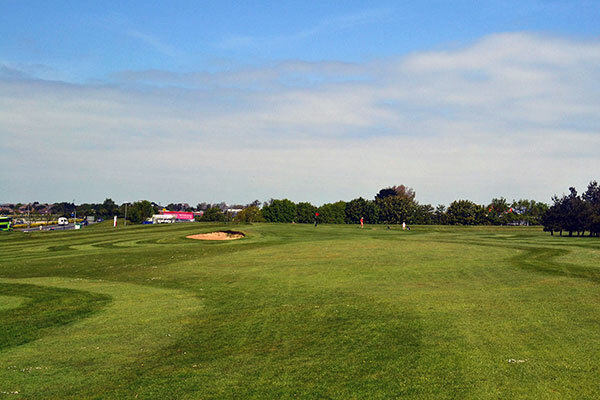 The course itself is an easy walking layout but with a couple of tough signature holes. The second hole requires an accurate and long tee shot through the trees to open up a view of the green which dog legs sharply to the left. 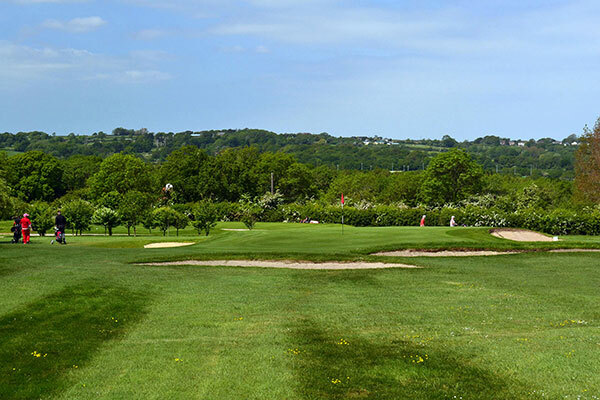 If you can get through that hole with the scorecard still intact then the 3rd hole provides one of the most daunting tee shots you will find in the south of England. 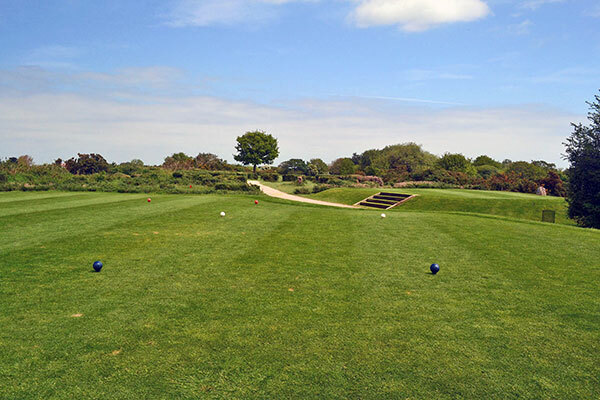 A 232 yard Par 3 with gorse directly in front of the tee box and a tree on the left edge of the fairway, an accurate tee shot is a must if you want to make a par on this hole! 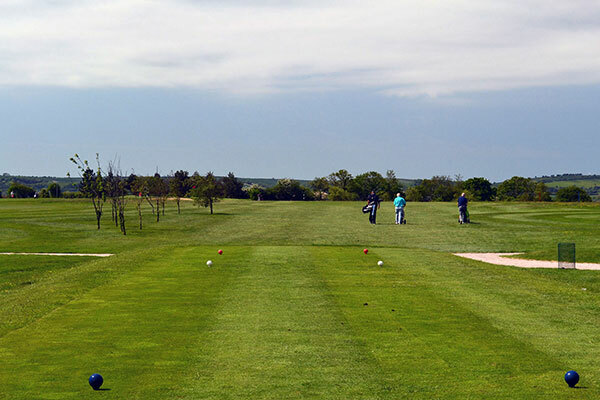 The golf course is available to play all year round. 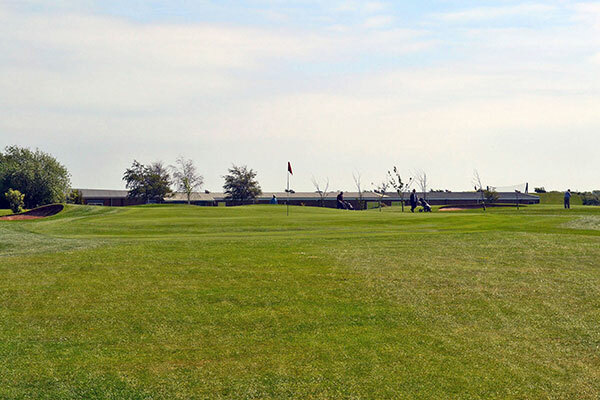 We pride ourselves on having a very welcoming and friendly atmosphere throughout our golf centre. This shows through our thriving membership. A testing Par 3 to start with a green guarded by 2 bunkers left and right. Pros tip: For the first shot of the day, if the flag is tucked behind one of the two bunkers don’t be tempted to go for it, play for the middle or short of the green with your tee shot and take a nice par to start. 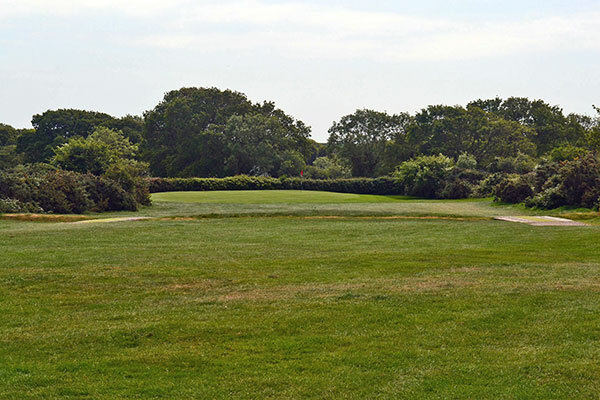 An accurate tee shot is required to open up the green on this dogleg par 4. Pros tip: The tee shot here needs to be about 200 yards to open up a view of the green for the second shot but the fairway narrows at this point too, so if you are not comfortable hitting to a narrow target from that distance the fairway is a lot wider at around 150 yards from the tee, you can then pitch to the end of the fairway before playing your 3rd onto the green. 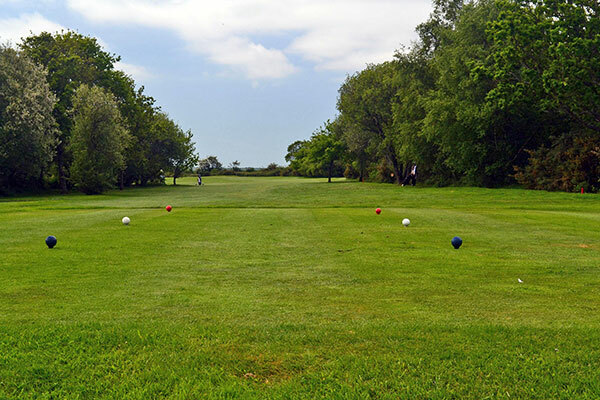 Toughest Hole on the course, a straight and long tee shot is required if you wish to make your par on this one. 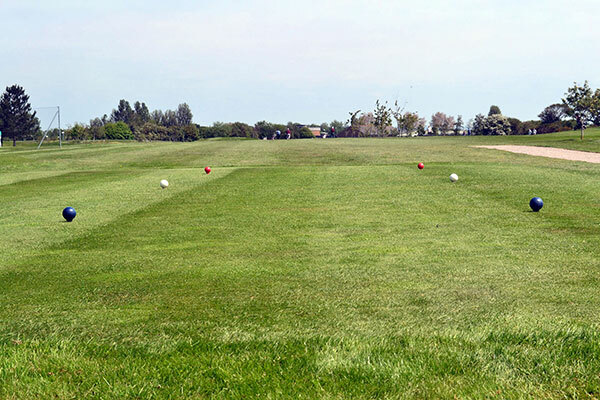 Pros Tip: The fairway slopes gently from left to right so everything will kick that way. For the mid to high handicappers a mid-iron down the fairway is the safest play here to keep the scorecard intact. Good birdie chance here, but avoid the deep bunkers left and right of the green, and the raised green makes it a difficult target to hit. Pros Tip: A straight drive here is more important than a long one as it will leave you a simple pitch and run between the bunkers rather than over them! Fairway bunkers both sides of the fairway make a good tee shot essential, the further your drive the easier it will make your approach to this narrow green. Pros tip: Favour the right hand side of the fairway for a better look at the flag. 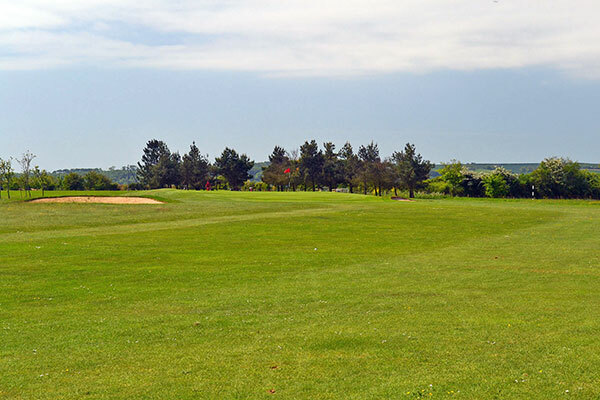 A straight shot is required off this tee with long rough hugging each side of the fairway, however, a birdie chance could be had for the daring of players to cut the corner of the long rough when the wind is in your favour. 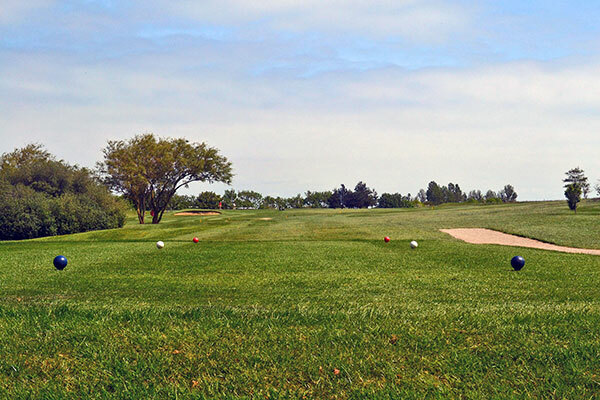 Pros tip: Try and leave yourself an uphill putt in the summer as the green slopes quickly from back to front. An accurate wedge shot required here as the green is well guarded by bunkers and with a bunker at the front of the green. A lofted shot is essential. Pros tip: Try to leave yourself short of any flag position here for a good birdie putt. Anything past the flag will leave a tricky putt. A short par 3 to finish the 9. 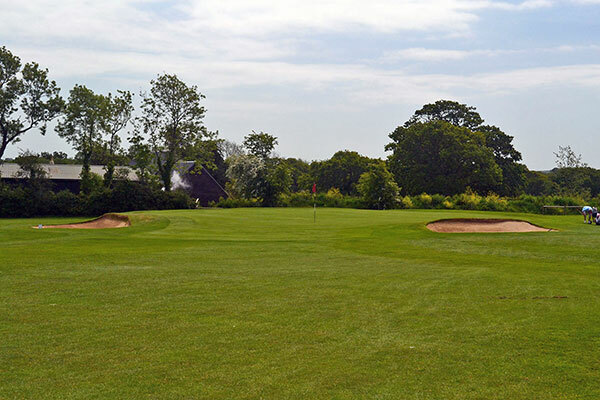 A deep bunker on the left hand side of the hole is one to avoid and A two tier green means a shot to the wrong level will produce a tricky two putt for par, choose your club wisely. 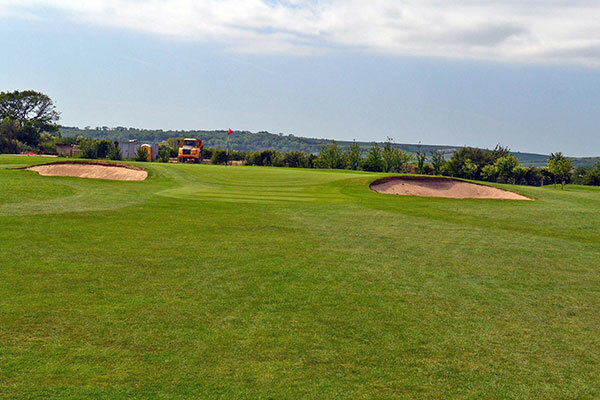 Pros Tip: Favour the right hand side on this hole and be careful not to go long, shots going left or long of the green make for a very tricky up and down. 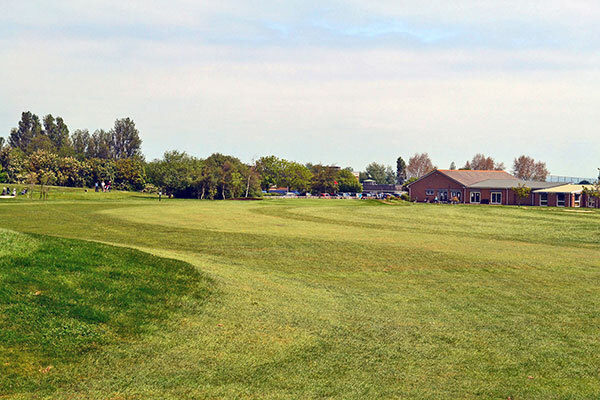 We are open 363 days a year with a PGA Qualified professional always on hand to provide honest and friendly advice. 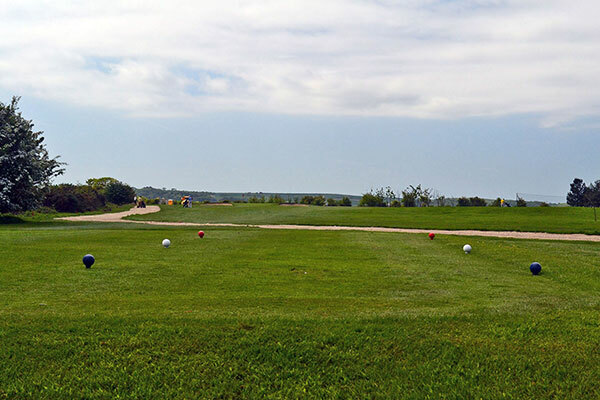 We are the Islands only pay as you play golf course with no booking of tee times required. 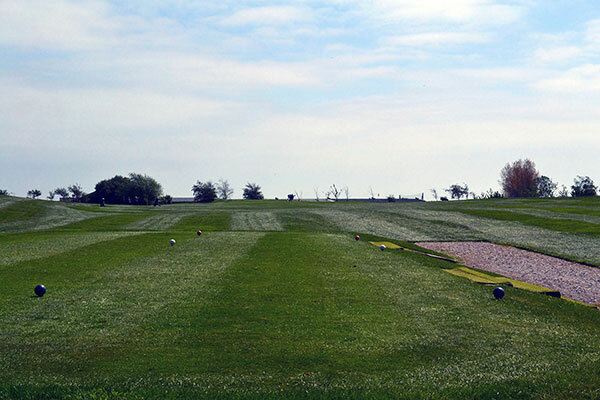 We have the only covered floodlit golf range on the Isle of Wight allowing you to continue your practice 363 days a year.